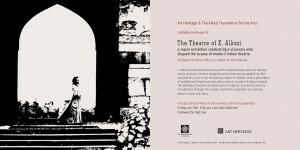 The Theatre of E. Alkazi was a retrospective of Ebrahim Alkazi’s theatre work, spanning a period of 50 years. 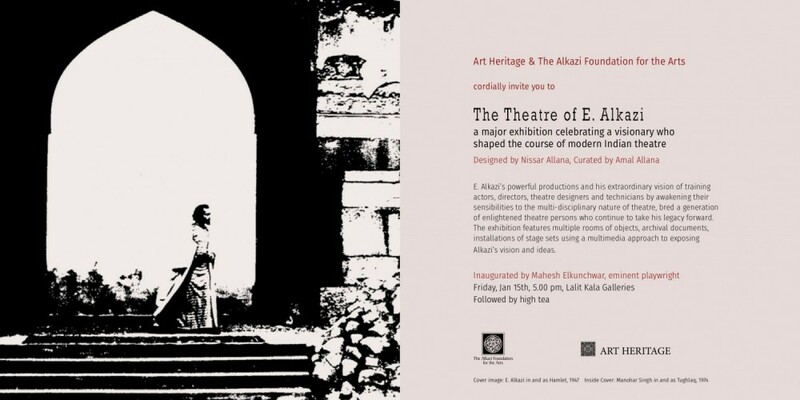 Mr. Alkazi is a legendary figure of India theatre whose remarkable achievements have earned him the Padma Vibhushan, among a vast number of Lifetime Achievement Awards. 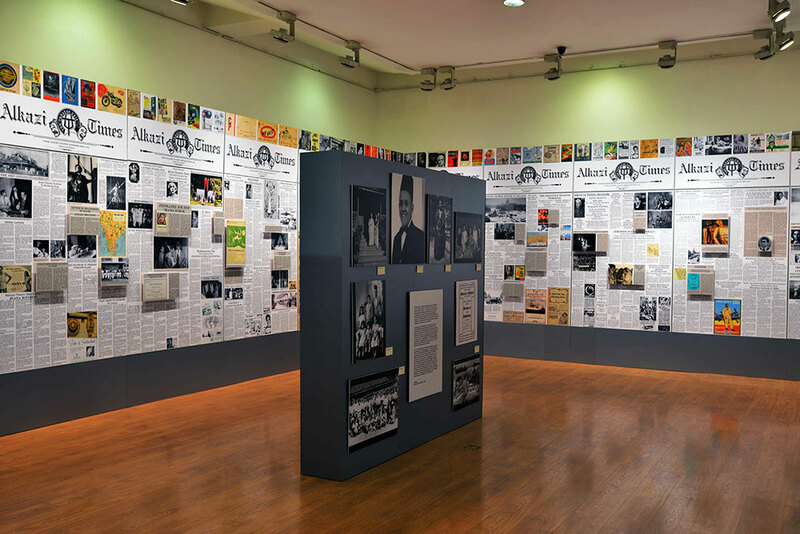 The exhibition profiled the times in which Alkazi worked; his story running parallel to the Independence Movement, and the birth of Indian Modernism in the theatre. 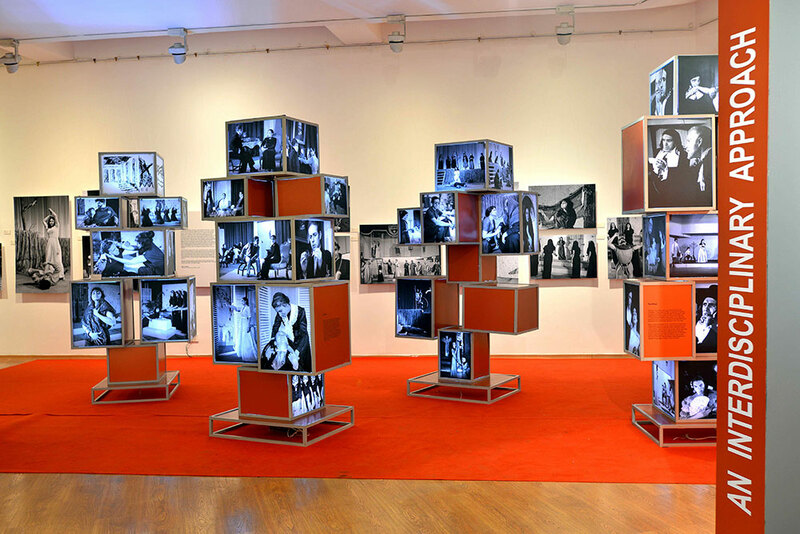 He introduced revolutionary ideas in theatre as early as the beginning of 1950’s which include scenic design, modern ideas of acting drawing from the West as from Bertolt Brecht and linking these ideas to traditional folk theatre of India. He evolved new training methodologies for actors and stagecraft students alike, and spoke about a new’ ethics’ and philosophy in theatre. In 1962, he was invited to be the Director of the National School of Drama, which he turned into the leading and premier theatre institution in the country, producing great actors like Om Shivpuri, Manohar Singh, Surekha Sikri, Uttara Baokar, Naseeruddin Shah, Om Puri, Anupam Kher, Pankaj Kapoor among the vast number of luminaries on the Indian stage and screen. Star directors like B.V. Karanth, Mohan Maharishi, Ranjeet Kapoor, Ratan Thiyam, Amal Allana, Neelam Mansingh, M.K. 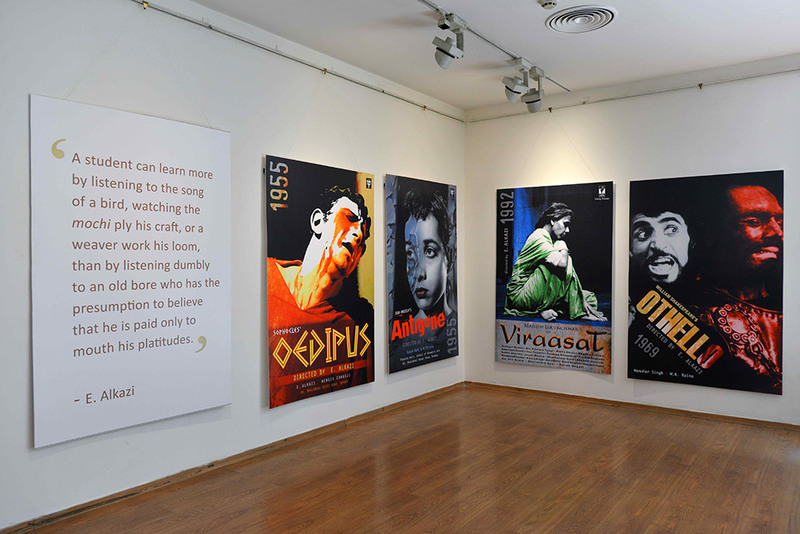 Raina, and many others who went back to work in the small towns and villages they came from, made their mark on the National theatre scene in India. 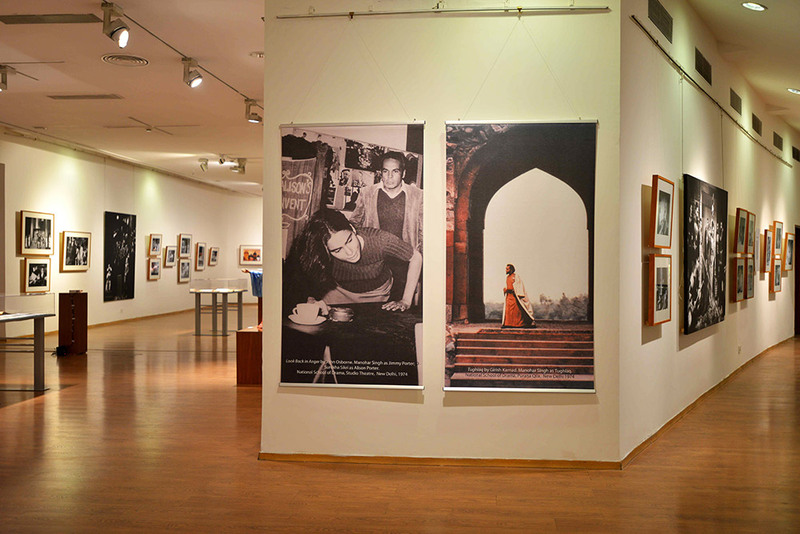 This exhibition showcased for the first time Alkazi’s work from the 1940’s and 1950’s; work that has rarely been seen anywhere in India, bringing a vast treasure of material into the public domain.